Stars and Scrubs. Balanced approach. Regardless of the method chosen during drafts to fill your roster, your team likely needed more to get to the championship matchup or top of the standings. The skilled managers were ones who were able to discover players who would eventually break out. Every year there will be players that exceed expectation. Some will do it for part of the year, while others will carry the magic the entire season. The key is identifying them and taking a chance on them early to maximize the return on the risk, which in most cases was very little since these guys were drafted very late, if at all. Let's take a look at a few players who were the saviors for their teams in 2018 with a slight look towards expectations in 2019. 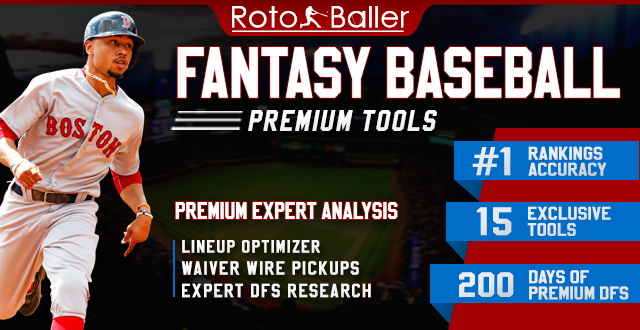 If you have any thoughts on other waiver wire gems or any dynasty questions, reach out at Twitter to @EllisCan2. At 34 years old, Lowrie decided he would be the one to get your fantasy roster off to a blazing start in 2018, if you jumped on the waiver wire early enough. March and April was the start of a successful year that included alternating months of great performance with months of mediocre/below average performance. Lowrie’s first half ended with 16 HR, 62 RBI, and a .282 AVG. He also chipped in 25 doubles to go with a 9.9% walk rate and a 19.9% strikeout rate. Lowrie’s second half wasn’t as successful, partially stemming from a leg injury he endured in a collision with Stephen Piscotty. However, Lowrie still ended the season with 23 homers, 99 RBI, and a .267 batting average. Lowrie finished with a 4.8 WAR ranking him third at second base, behind only Javier Baez and Whit Merrifield. His finish this year helped reinforce his solid performance in 2017, in which his 3.6 WAR tied him for sixth. Lowrie has demonstrated that he can be a valuable contributor in a young Athletics lineup, even at the age of 35 in the 2019 season. His age will likely push him to the later rounds of the draft, a bargain for a player that can finish top 10 at the position. Where in the world did Max Muncy come from? He’s just a 28-year-old guy that was cut from the Oakland Athletics before the start of the 2017 season. Muncy is a guy that had to wait for a high school baseball team to finish using the field before he was able to take batting practice to work on his hitting approach. The Dodgers gave him a chance; he played in Triple-A for the entire 2017 season. 2018 was a different outcome than what we saw from Muncy in the past. He seemed to be unstoppable in the first half, primarily June. At the All-Star break, he had 22 homers to go with a .271/.406/.609 slash line. He did compete in the home run derby and beat Javier Baez in the first round before being eliminated by Bryce Harper in the second round. The second portion of the season started with dismal results. In July he hit seven HR with a .242 batting average followed by six homers and a .259 average in August. Some will talk about the home run derby jinx. However, the simpler answer is that pitchers made adjustments to him and after the All-Star break, he had to figure out how to make follow-up adjustments of his own. Muncy finished the season with 35 homers, 79 RBI, and .263 AVG. Also impressive was that he had a 16% walk rate to go with a strikeout rate that was tolerable (27%). A lot of Muncy’s value moving forward will be dictated by the construct of the Dodgers infield going into 2019. Machado is a free agent who could take his services elsewhere, opening a spot. Of course, Magic Johnson and the rest of the Dodgers ownership are no strangers to spending money to retain quality players. Thus far, the postseason games have shown us that the team prefers Muncy at first base, albeit in a platoon for now. Something to remember is that his new approach at the plate is relatively new. With time, his first-half performance could become a more consistent representation of Muncy as a hitter. Aguilar is another guy that gave your team an early competitive advantage in the first half. During that time, he hit for a .298 average with 24 homers and 70 RBI. It appeared almost unimaginable that he would come back down to earth, but as with most things that rocket past their expectations, there is the possibility of a crash on the other side. While it wasn’t a total failure in the second half, there was a drastic decline in Aguilar’s performance, which resulted in only 11 homers and a .245 batting average. He also saw his groundball rate increase from 30% to 41%. Aguilar, regardless of how he was performing throughout the season, always hit the ball hard, averaging 44% this year. He was a controlled hitter at the plate, only swinging at 33% of pitches outside the zone. Aguilar also had a 10% walk rate that helped owners as well. Aguilar’s future is mostly set in Milwaukee as he has stabilized the first base spot for the Brewers. With a solid cast around him, expect him to accrue more stats in 2019 if he can maintain some consistency throughout the season, particularly if he remains in the cleanup spot. Coming back over from Japan, Mikolas was a largely unknown commodity. 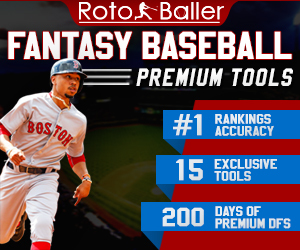 His last venture in MLB was not a reassuring one but he performed very well in the Nippon Professional Baseball giving fantasy managers an intriguing option, at a very discounted price on draft day. Mikolas rewarded the few fantasy owners who grabbed him and earned 18 wins with only four losses. This is tremendous value for a player that mostly went undrafted. It wasn’t everything the fantasy owner wanted from Mikolas but as long as owners understood his place on the pitching staff, then they could be overly content with his single unattractive category. Mikolas is not a strikeout artist, especially with a 6.5 K/9. He utilized his three-pitch mix to become a very good control pitcher. While he did not help your team in the strikeout category, Mikolas was an innings-eater and helped your ratios with an ERA below 3.00 (2.83) and a WHIP at 1.07. He was mostly successful by keeping the ball on the ground (49%) and limiting the longball (0.72 HR/9). With veteran game-caller Yadier Molina behind the plate for the next two years, it is distinctly possible that Mikolas could repeat this year’s effort in 2019. While he won’t fly up draft boards, he will not go undrafted now that managers know they can get a guy who can help their ratios and increase the chances of getting wins. Of course, do not get sucked into the hype if the ADP seems a bit high to begin 2019. It is tough to waste valuable innings on pitchers with such a low strikeout rate. Foltynewicz had a breakout season in 2018. In some basic sense, he flipped the script from a 10-13 record in 2017 to 13-10 in 2018 with a 2.85 ERA. He has a 9.93 K/9 resulting in 202 strikeouts in 183 innings pitched this year. Folty found success using primarily two pitches, his fastball (56%) and slider (27%). He used a curveball (10%) just used enough to qualify as a third pitch. Foltynewicz performed well regardless of which side of the plate the hitter was standing. He allowed only a .181 batting average against to left-handed hitters and a .207 against to right-handers. Another encouraging sign is that he did not trail off too much as the season went on. He had a 3.10 ERA in the second half, higher than his 2.66 ERA in the first half. Folty will only be 27 years old when the 2019 season begins. There are a couple of things to be cautious about; first, it would be that he tapered off as the individual game went along. Particularly, the third time through the batting order is where he started to falter with a 3.83 ERA compared to the first (2.65) and second time (2.31) through the lineup. Secondly, he had a 3.34 walk rate that will not do him any favors, especially when his .251 BABIP starts to normalize. Expect Folty's draft stock to rise tremendously in 2019. 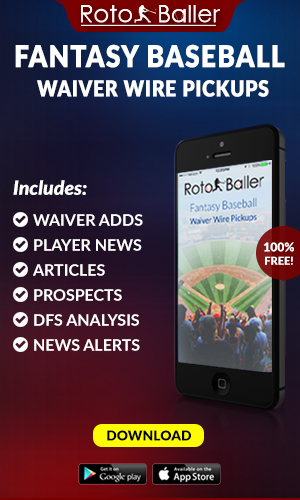 Do not get caught up in the bidding war or any draft hype. If you can get him at a reasonable price, do so; just do not overextend.